Most people think of estate planning as a chore they would rather put off and unfortunately many do until it’s too late. At the Keller Legal Group we strive to make the process not only as painless as possible, but also comprehensive so that the final results reflect your wishes and the legacy you hope to leave. Estate planning involves three objectives: (1) to satisfy your wishes as to how you wish your assets are to be managed and distributed in the event of death; (2) to dispose of your estate in a manner that Will result in the least amount of estate taxes due at your death and if applicable at your spouse’s death; and (3) to implement an estate plan that will permit potential distributions to your children, grandchildren, and other distributes with minimal or no tax to their estates. The estate planning process begins when we meet to discuss your personal and financial situation and concerns. With thoughtful estate planning, you can take care of yourself and your loved ones in a way that will benefit them for decades to come. The Keller Legal Group works with a wide variety of clients and when requested will work with the client's financial planner, insurance broker, and accountant. Please contact our law office today to schedule an appointment. Without a proper business succession plan, a family business can cause unnecessary stress during estate administration. Retirement, disability or deaths of the business owner are all common events that can trigger a business transfer. One of the most popular methods of business transfer is through a Buy-Sell Agreement (BSA). A BSA is a lifetime contract providing for the transfer of a business interest upon the occurrence of one or more triggering events as defined in the contract itself. An interest in any form of business entity can be transferred under a BSA, to include a corporation, a partnership or a limited liability company. Also, a BSA is effective whether the business has one owner or multiple owners. As a contract, a BSA is binding on third parties such as the estate representatives and heirs of the business owner. This feature can be invaluable when the business owner wants to ensure a smooth transition of complete control and ownership to the party that will keep the business going. The Keller Legal Group can assist you with business succession planning. We can discuss alternatives and work with your accountant. Please contact our law office today to schedule an appointment. NY Public Health Law § 4201(2) provides for the designation in a written instrument of a person who shall have the right to control the disposition of the remains of a deceased person. Like the Health Care Proxy or a Living Will, the Appointment of Agent to Control Disposition of Remains designates an agent whom the client wishes to carry out these matters. In addition, the statute provides that an individual may give special directions such that s/he be cremated, that their body be buried in a particular grave at a specified cemetery, or that a particular funeral home handle the arrangements. The designated agent is required to sign a document both accepting and assuming the responsibilities of agent for this individual. Original Appointment of Agent to Control Disposition of Remains documents may be kept with the client, the designated agent, a law firm, and a named funeral home. Upon the client's death, the designated agent will be able to present this legally recognized document and ensure that the client's remains are disposed of according to his or her special directions. In the event that the decedent did not name an agent, Public Health Law §4201 also designates in descending priority those individuals that shall have the right to control the disposition of the decedent's remains. The Keller Legal Group can assist you the preparation of the Appointment of Agent to Control Disposition of Remains document. This will ensure that your wishes are honored. Please contact our law office today to schedule an appointment. Understanding estate taxes, inheritance taxes and gift taxes is essential to any estate plan. Estate tax laws federal and state are complex and often convoluted. This is why working with an attorney that focuses on estate planning is important. The federal tax law exempts estates valued at less than $5.43 million (2015) from federal estate tax. The federal government also allows portability. Portability of the federal estate tax exemption between married couples means that if the first spouse dies and the value of the estate does not require the use all of the deceased spouse's federal exemption from estate taxes, then the amount of the exemption that was not used for the deceased spouse's estate may be transferred to the surviving spouse's exemption so that he or she can use the deceased spouse's unused exemption plus his or her own exemption when the surviving spouse later dies. On the other hand, New York imposes an estate tax on estates valued at $1 million or more and Connecticut at $2 million or more. Moreover neither NY nor CT have portability rights. The Keller Legal Group's goal is to design an estate plan that minimizes the potential impact of estate taxes while at the same time achieves your personal and family goals. Planning your funeral ahead of your death can relieve your survivors of the burden of making difficult decisions about funeral options in the midst of limited time and tender emotions that surround your death. On the other hand, pre-paying for your funeral is a more complicated decision to make, and ultimately, you must make the choice about whether and how to set aside funds to cover your funeral’s cost. Several avenues exist for consumers who want to cover some or all of their funeral expenses before they die. These can include instruments mostly in the consumer’s control (e.g., payable-on-death savings accounts, life insurance, and final expense insurance) as well as instruments offered by the funeral provider (preneed funeral contracts and preneed cemetery contracts). Each has its own advantages and disadvantages. The one reason to consider prepaying your funeral, burial, or cremation is to shelter some of your assets from Medicaid. Money you set aside in certain types of irrevocable trusts will be excluded from your net assets when your eligibility to receive Supplementary Security Income (SSI) or Medicaid benefits is determined. The Keller Legal Group believes that funeral planning should be part of a comprehensive estate plan and can assist you with your questions. Please contact our law office today to schedule an appointment. An irrevocable trust is a type of trust that by its design can't be modified, amended, changed or revoked. It is most often used to achieve certain estate planning goals, including reducing or even eliminating estate taxes by removing property from the grantor (the trust maker) estate. It is also known as an Inter Vivos Irrevocable Trust, Irrevocable Living Trust, or a Testamentary Trust. An irrevocable trust can be a powerful way to protect assets as one gets older. Using an irrevocable trust allows you to minimize estate tax, protect assets from creditors, and provide for family members who are minors, financially irresponsible, or who have special needs. It is particularly used for Medicaid Asset Protection. To create an irrevocable trust, the grantor enters into a written trust agreement. He or she names a trustee to hold the property according to the terms of this trust agreement. The trust agreement identifies the beneficiaries and tells the trustee when distributions of trust property (including the original assets placed in trust, as well as the income on such assets) should be made to the beneficiaries. The trustee is responsible for all aspects of the administration of a trust. The primary duties of any trustee are twofold: (1) to prudently invest and protect the assets of the trust, and (2) to make distributions to the trust beneficiaries according to the terms of the trust agreement. The trustee is required to act in the best interest of the trust beneficiaries. This duty of loyalty is known as fiduciary duty, and it places a very high (and legally enforceable) standard of care and expectations upon the trustee. If you are interested in learning more about irrevocable trusts or would like us to review your existing trust please contact our law office today to schedule an appointment. A Will is a legal document that provides instructions about the transfer of your property and assets after you die. A Will directs who is to inherit your estate assets and in what proportion. Wills can be written by anyone over the age of 18 and of sound mind. A Will also designates a person responsible for administering the estate (an “Executor”). 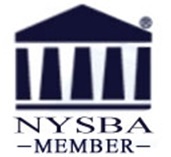 Under New York Law in order for a Will to be implemented and for heirs to receive their inheritance the Will must be submitted for probate. Wills only control probate assets, that is, those assets that can be transferred by the probate court. Some assets do not have to be probated and generally are not controlled by a Will. These assets include: Life insurance proceeds, which are paid to the beneficiaries designated in the policy; property held in joint tenancy, which provides that, upon the death of one joint tenant, the deceased person's interest automatically passes to the surviving joint tenant(s); property held in living trusts. Because these assets are transferred by means other than the probate process, a Will generally does not control how they are distributed. A Will must meet certain formal requirements in order to be valid, otherwise it may be challenged during the probate process. The person making the Will (the "testator") must be an adult of sound mind, meaning that the testator must be able to understand the full meaning of the document A testator must sign his or her own Will, unless he or she is unable to do so, in which case the testator must direct another person to sign the Will in the presence of witnesses, and the signature must be witnessed and/or notarized. A valid Will remains in force until revoked or superseded by a subsequent valid Will. Some changes may be made by amendment (a "codicil") without requiring a complete re-write. A married person cannot completely disinherit a spouse without the spouse's consent. In New York, a surviving spouse has a right of election, which allows the spouse to take a legally determined percentage of the estate when he or she is dissatisfied with the Will. Nondependent children may be disinherited, but this preference should be clearly stated in the Will in order to avoid confusion and possible legal challenges. A Will usually appoints an executor or personal representative to perform the specific wishes of the testator after he or she dies. The personal representative consolidates and manages the testator's assets, collects any debts owed to the testator at death, sells property necessary to pay estate taxes or expenses, and files all necessary court and tax documents for the estate. When a person dies without a Will, they are said to have died intestate and the state laws Will determine the priority of inheritance. Where some small estates are concerned, a Will may not have to be probated. If the value of the assets in the estate is below a threshold established by state law, a short estate proceeding may avoid the probate process entirely. A Medicaid Asset Protection Trust is an irrevocable trust. Properly managed and funded, after five years, all of the principal will be deemed an unavailable asset if you apply for Medicaid, and will be preserved for your family. The Medicaid Asset Protection Trust allows you, the "grantor," to create the trust and to name one or more persons - other than yourself or your spouse - to manage the trust. You may give detailed instructions as to how the assets are managed. You may even retain the right to change the trustee at any time if the trustee is not managing the assets to your satisfaction, or for any other reason. You are entitled to all of the income, for yourself for your lifetime. You may also make the income available to your spouse. As grantor you retain the right to direct the trustee to give gifts of the principal to your children or others, although no distribution can be made from the trust to you. Of course, your children are free to use the principal as they see fit, including spending it on your needs. The Medicaid Asset Protection Trust generally pays income only to you, the grantor. For example, interest on CD's or stock dividends but limits your access to the principal. While assets placed in the trust can be managed by the trustee and bought and sold as before, you and your spouse may not draw on the principal for your own needs. You can, however, direct your trustee to make gifts to other family members. Although the trust is irrevocable, you have the right to change the beneficiaries. In the unlikely event that you ever need to terminate the trust, you may do so if the trustees and beneficiaries agree. The principal generally stays in the trust until your death, at which point the trust assets pass directly to your heirs, without the expense and delays of probate. You do not need to put everything you own into a Medicaid Asset Protection Trust. If you are interested in learning more about Medicaid Trusts or would like us to review your existing trust please contact our law office today to schedule an appointment. Under the law of most states, including New York, an animal can be the beneficiary of a trust created to care for the animal. New York enacted its pet trust statute in 1996, which was amended in 2010. The statute enables persons to create trusts for their animals, and such trusts can be enforced in the courts. The trust can be (i) a testamentary trust, created under a Will, to take effect upon the death of the pet owner, or (ii) an inter vivos trust, created and effective while the pet owner is alive. A trustee is named in the trust instrument to manage the trust and use the funds in the trust to care for the animals. If the trustee cannot take physical possession of the animals, a different person can be named as the caretaker. Alternate trustees and caretakers should always be named, in case the first-named person is not available to act when the pet owner dies. Under the amended New York pet trust statute, a pet trust shall continue until no living animal is covered by the trust. This is a favorable change from previous law, which had pet trusts subject to a 21-year limitation. The amended New York pet trust statute, which now follows the pet trust statutes of most states, helps ensure pet owners of parrots, horses, and other long-lived animals that all of their animal beneficiaries will be covered for the duration of their lives. The Keller Legal Group can help pet owners take measures either in their Will and/or Trust to ensure that their pets will be taken care. If interested please contact our law office today to schedule an appointment. A revocable trust (also known as a "living trusts", an "inter vivos trust," or a“loving trust”) is generally used to describe a trust that you create during your lifetime. A living trust can help you manage your assets or protect you should you become ill, disabled or simply challenged by the symptoms of aging. Most living trusts are written to permit you to revoke or amend them whenever you wish to do so. These trusts do not help you avoid estate tax because your power to revoke or amend them causes them to continue to be includable in your estate. These trusts do help you avoid probate, which may not always be necessary depending on the cost and complexity of probate in your estate. A "living trust" is legally in existence during your lifetime, has a trustee who currently serves, and owns property which (generally) you have transferred to it during your lifetime. While you are living, the trustee (who may be you, although a co-trustee might also be named along with you) is generally responsible for managing the property as you direct for your benefit. Upon your death, the trustee is generally directed to either distribute the trust property to your beneficiaries, or to continue to hold it and manage it for the benefit of your beneficiaries. Like a will, a living trust can provide for the distribution of property upon your death. Unlike a will, it can also (a) provide you with a vehicle for managing your property during your lifetime, and (b) authorize the trustee to manage the property and use it for your benefit (and your family) if you should become incapacitated, thereby avoiding the appointment of a guardian for that purpose. The Keller Legal Group drafts trusts for the particular needs of each client and takes the time explain the functioning of the trust, the trustee’s responsibilities, the proper tax treatment, and the reporting requirements. The Keller Legal Group can also act as Trustee or Co-Trustee. If interested in discussing further please contact our law office today to schedule an appointment. Trusts are legal agreements that provide for the management and distribution of assets during life and/or after death. The creator of the Trust (the Grantor) transfers his/her assets to the Trust. Trustees are appointed by the Grantor to manage the assets according to the Trust Agreement. Typically the trust pays the income generated by the assets to a named person and then distributes the remaining assets to the beneficiaries at some future time. Trusts can serve a number of estate and long-term planning purposes, including asset management, tax reduction, and Medicaid asset protection. Trusts are ideal mechanisms for management of a client’s estate in the event of incapacity or where investment guidance is needed. They can take the place or be used in conjunction with the power of attorney. There are two key types of trusts Revocable and Irrevocable. A Revocable Trust is a trust created during an individual’s lifetime for his/her own benefit. The individual may act as the sole trustee of his/her Revocable Trust, have a co-trustee or appoint another individual or a bank or trust company to act as the sole trustee. As the name implies, the individual creating the Revocable Trust (the “Grantor”) may revoke the trust at any time. The Grantor also has full access to the assets he or she transfers to the Revocable Trust and may change the terms of the Revocable Trust at any time. Irrevocable trusts are generally used as a way to remove property from the grantor’s estate either for tax or for Medicaid planning purposes. The three biggest reasons why trusts fail are that the Grantors fail to fund them for probate avoidance, spouses fail to split assets for estate tax reductions, and the failure to name trusts as beneficiaries of retirement plans. Trusts are complex financial instruments that require sophistication on the part of the trustee. The Keller Legal Group takes the time to draft each trust for the particular needs of each client and explains (among other things) the functioning of the trust, the trustee’s responsibilities, the proper tax treatment, and the reporting requirements. The Keller Legal Group can also act as Trustee or Co-Trustee, and can provide independent professional management of trust assets and distribution plans that take into account both the current and future need of the trust beneficiaries.